After launching the X20 Plus smartphone with a unique under-display fingerprint scanner, Vivo is now looking to make a splash in the market with a new design that’s sure to catch a few eyeballs. Yes, the company has officially teased a full-screen concept phone called the APEX. Although the teaser video and the poster don’t give out any info about the device itself, it is safe to say that it will house the new Synaptics under-display fingerprint sensor. However, it remains to be seen if they’ll use the same sensor or an improved one. Funnily, there’s no front camera as far as we can tell, which would be a really bold move. 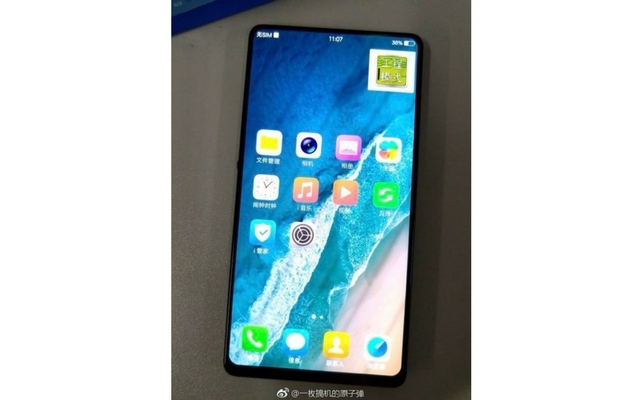 Also, if you have been following the news lately, then you might have seen a mysterious phone with a bezel-less design. There is a small chance the new Apex is the same phone. Interestingly, the teaser has been shared in Vivo India’s official Twitter handles as well. Hence it is now being speculated that the device would find its way into the Indian market. It could also be a global launch. Whatever it is, we’ll find out soon enough since the teaser says it will be showcased on February 26. Concept phones don’t always see the light of day. Back in 2016, Xiaomi showed the concept phone called Mi MIX, which did indeed hit the market, and was one of the first few phones to radically shrink the bezels. So it will be interesting to see if Vivo can pull this one off.